Technical Man Heard in Brazil! Yesterday evening Technische Man from Nederland was heard in Brazil on 6305 KHz. 6305 @ 1900 Technical Man - 45434; ID in Dutch & English, Gerry Rafferty & "Baker Street"
"The first blog I check in the mornings; great work and so much info to what's going on in the pirate scene. Cheers Jim." 6305 @ 2115 Carrierwave - 35434; "Diva" by Dana International, "Carnaval De Paris" by Dario G, "This Is How We Party" by S.O.A.P. 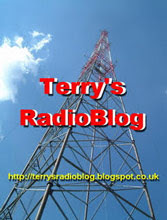 "Terry's Hobby Radio Logs, specialises in free radio. On Terry's blog, there is also a list of other radio blogs, mostly dedicated to pirate or hobby radio. However, it is more than just a useful list and logbook. There are items such as analysis of previous months' free radio scene. In Terry's Blog archive for June, there is even a link to an item on a beer called Short Wave - more on which can be found on the Canadian Beer News website!" 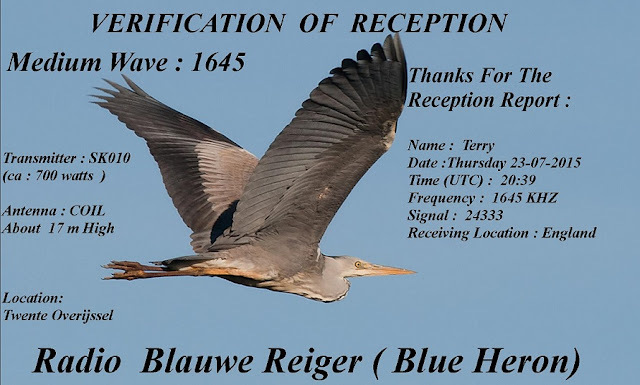 6305 @ 1951 Mustang - 45434; "Funky Town" by Lipps Inc.
6240 @ 2006 Panda - 34333; "Mexico" by the Les Humphries Singers, ID "Panda Radio on shortwave"
Thanks for great QSL, Blauwe Reiger! 6290 @ 2152 Akai - 3-45434; Music, then CD, restart, "Sidney Berlin Ragtime .." by Doop @ 2200, Bruce Springsteen & "Tougher Than The Rest"
The band showed signs of fading out for short skip this evening after about 2130 UTC, a sure sign that the Autumn conditions are coming! There were more stations on the band, but a) there were thunderstorms and lots of static and b) I was getting used to a new mixer in the studio! 6265 @ 2102 Abu (BB) - 45544; John Fogerty & "Long Dark Night"
1671 @ 2155 Armada - 24333; Heard music, then CD! 6280 @ 1850 Bogusman - 45434; Chat & music - R.E.M. & "Exhuming McCarthy"
6423 @ 1918 Altrex - 23333; Polka style music, Dutch track, Greets to me, "Moo" ID! 6400 @ 2025 Panda - 23333; "Heartbeat" by Enrique Iglesias, then "I Like How It Feels"
6265 @ 2125 Abu Dhabi (BB) - 4/55544 ; "Mary Lou"
1621 @ 2159 Turftrekker - 34333; "You Can Win If You Want" by Modern Talking, Staus Quo - "Down Down Deeper & Down"
6395 @ 2033 Zwarte Panter - 35434; "Samen Terug Naar Mokum" by Koos Alberts, "Pirates For Peace"
6750 @ 2117 Tidalwave - 45534/55545; "Burning Love" by Critical Mass, "Meet Her At The Love Parade" by "Da Hool"
3930 @ 2133 Batavia - 34333 ; Batavia Id & email address, Roy Black & Anita - "Schön ist es auf der Welt zu sein"
6289 @ 1943 Digital AM - 35434; Instrumental & Dutch style music. The K-Po WR2100 (or Redsun 2100) is a relatively large portable radio that has frequency coverage from 520 to 29999 kHz in 4 ranges - SW1: 1711 to 10010 kHz, SW2 9990 to 20010 kHz, and SW3: 19990 to 29999 Khz and lastly medium wave which can be changed from 522 to 1620 kHz in 9 kHz steps or 520 to 1710 in 10 kHz steps. The reset button (on the front panel) has to be pressed to apply the changes on MW, a fact I did not discover at first. Maybe I should read the handbook more carefully! Bass, treble and RF gain controls are separate, as are narrow / wide filter for AM and a stereo / mono control on the same switch. The narrow / wide filter does not seem to greatly affect the received sound. I have not played with the memories yet, as I rarely use these on any radio I own. The radio has a Q.Tune feature which works well and jumps to the next shortwave broadcast band. There are also up / down buttons to help with scanning through frequencies. Batteries are either 4 x D cells or 4 X AA cells. I am not sure how long the D batteries will last and I have not tested the radio on AA cells. The mains adapter works well, and so far I have not detected extra noise from the power supply in the adapter. 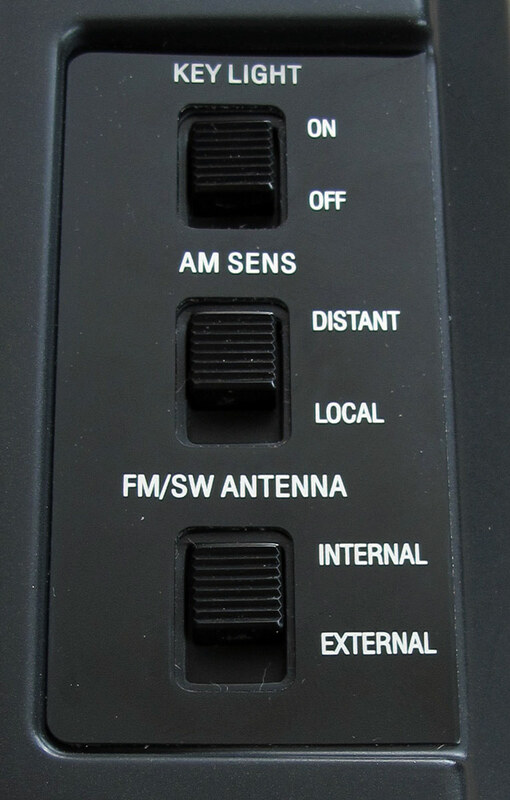 On the side of the unit, there are switches for Key Light (on / off), AM Sensitivity (Distant / Local) and FM/SW Antenna (Internal/External). The Distant switch reduces gain by a useful amount. On the other side is phono line out for stereo (L/R) and Battery switch (AA/D) and DC in socket. On the back are sockets for antennas (coaxial in for FM and Antenna in andground for SW) and an IF output socket (again coaxial). Annoyingly, at first, I found the radio reads around 1 kHz low. 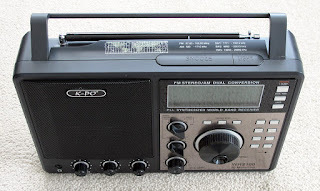 For example Radio 5 on Medium Wave is 909 kHz, but the K-Po records a centre tune point of 908 kHz. From what I read, and after speaking to David of Wizard Radio, I gather this is common on examples the radio. 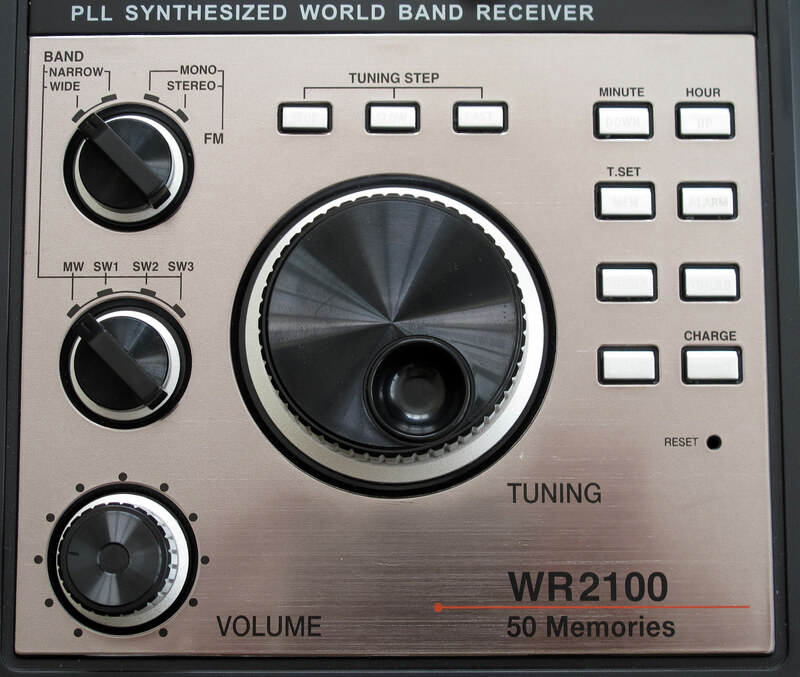 This is older technology - analogue RF circuits with an add on synthesiser. I seem to recall that a Sangean ATS-803a that I had some years ago, had a similar problem. Anyway Medium Wave sounds better with a 1kHz off - tune! Less of the details; how does it perform? Well, very well, in my opinion. 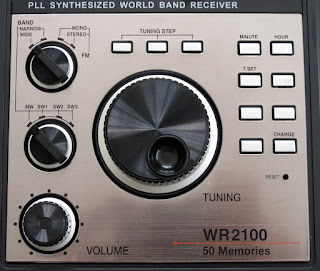 The Medium Wave section is sensitive, more sensitive than my Tecsun PL-600 and better than most of the other analogue radios in my possession. All stations I would expect to hear on MW, like Smooth, BBC local radio and Radio 5, Talksport, and Virgin come in clearly and moreover, the radio has a good sound. In conjunction with the Tecsun AN-200 loop antenna I listened to Calimero on 1638 from the North of Holland as if it were a nearby station. (see video clip - https://youtu.be/PwJae6LEN3k). This was the main reason I bought the set because I had heard of its capabilities on MW. 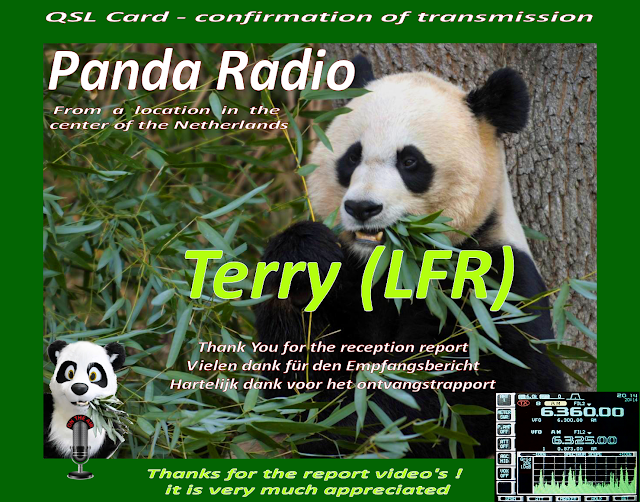 It is on Shortwave that I was surprised. This radio pulls in "Free" radio stations that I cannot hear on the Tecsun. For example, I could just hear GSV one evening on 6401 with the telescopic antenna (by a window), that was also weak on the outside antenna on my Icom. Rode Adelaar (Video clips - https://youtu.be/DH3ydLfE-30, and https://youtu.be/AVWyEG7-SMw) and Paardenkracht (Video clip - https://youtu.be/r-KFRimhYtc) came in clearly also. FM seems clear and again as sensitive, if not better than other portable radios I have. Certainly the sound is superior. I cannot vouch for overload problems as I am not close by a FM transmitter. The nearest to me is under 10 miles, but is not massively high power. But, again, I did not buy the radio for FM. All in all, a useful addition to my collection! I look forward to taking it on holiday with me. 6280 @ 1725 Rode Adelaar - 35434; ID, "Soldier Boy" by Koos Bloemsma. 6400 @ 1903 Blauwe Panter 35434; Smokie & "If You Think You Know How To Love Me"
1638 @ 2101 Calimero - 34333; Polka style music, greets to me & others, "Junge, Komm Bald Weiser" by Freddy Quinn. 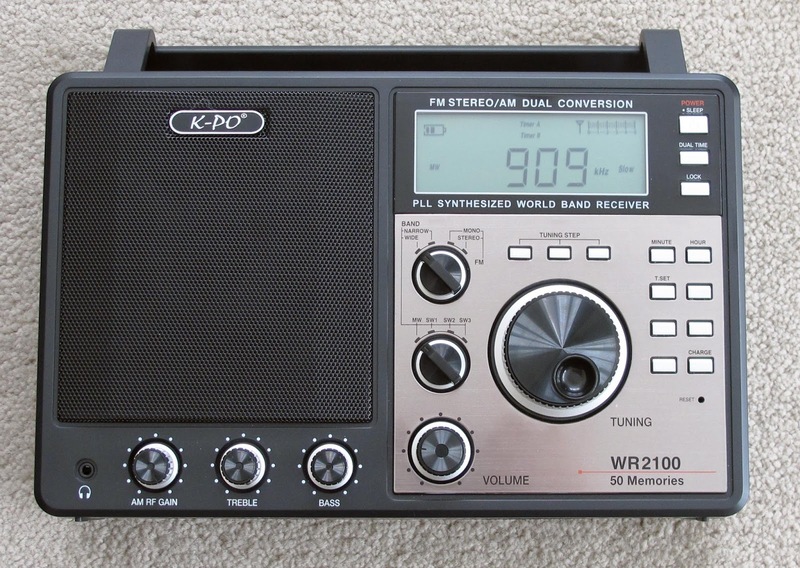 I bought a K-PO WR2100 today and a Tecsun AN-200 loop antenna recently and have been listening carefully to the radio around the house. I listened to Calimero in the kitchen on 1638 this evening after I logged him on the Icom. He was a really great signal. The radio and loop antenna are so far doing a great job! I will do a more detailed report in a future blog! 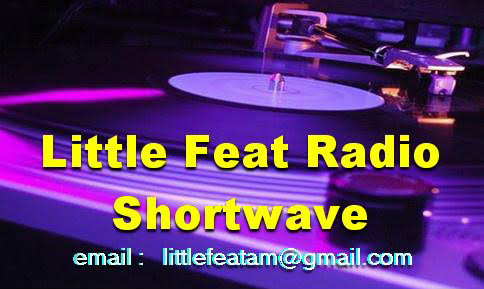 Those of you that know me or who have met me know that I do also sometimes go on the air as LittleFeat Radio. I went on air tonight and was overwhelmed with the friendship and warmth of other stations and listeners that messaged me by email, Skype, WhatsApp or on the Pirate Chat. It is a pleasure to be a part of this great community.Thanks guys; you know who you are! 6380 @ 1913 Rode Adelaar - 45434; Instrumental music and ID in Dutch, UB40 and "Kingston Town"
6390 @ 1953 Weg Piraat - 35434; The Hollies & "Long Cool Woman In A Black Dress"
6305 @ 2133 Zomerzon - 35433; Lowish audio, "Ace of Spades" by Motorhead, Queen and "Bohemian Rhapsody"
6400 @ 2146 Anthony - 24222; "Let Me Love You" by Schiller & Kim Sanders; I rarely hear this station from Poland, so good conditions this evening. 3910 @ 2211 Focus?? With Radio London jingles - 34333; "Dazz" by Brick. Thanks to Anonymous in comments! 6325 @ 2204 Radio Pirana - 24323; "Dig A Little Deeper" by J.D. Sumner & the Stamps. 5w carrier! 6285 @ 1931 Digital AM - 45434; "Operator" by Jim Croce, Stretch and "Why Did You Do It"
1620 @ 2130 Calimero - 34333; Cliff Richard "I Could Easily Fall In Love With You"
Again no logs today, but an end to a great weekend. The Summer Meeting 2015 has now come to a close. My stay in the Netherlands is over. I am writing this from a hotel room in France, reflecting on the last few days. I have met so many people; all of whom I have not met face to face before. It was a rare chance to talk about about all matters involving radio and to make and strengthen friendships. Thanks to everyone involved for making the weekend so memorable and enjoyable.